In what could only be described as winter conditions, Linlithgow travelled to Portobello for their final league match of the season knowing that a victory would guarantee league safety, in a league where 4 teams might be relegated. 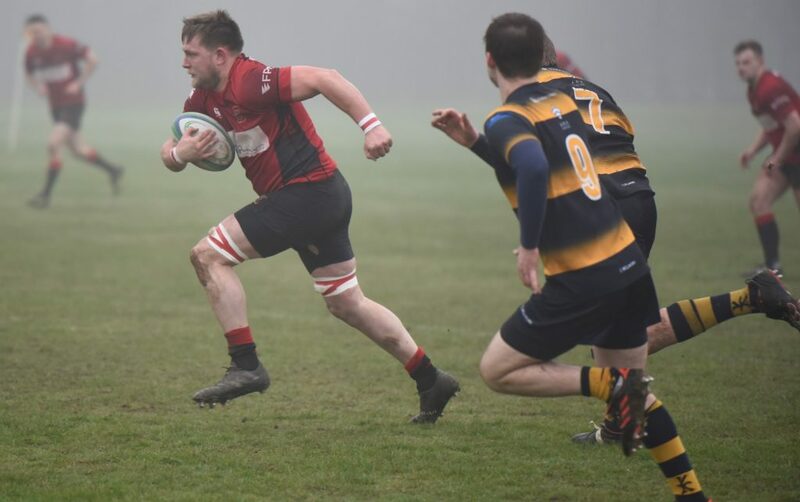 As Portobello had 3 games in hand, they will be playing rugby for another month before their fate will be decided. Portobello began the match playing down the slope with the advantage of the biting cold wind at their back. The home side looked the more likely team for the opening 20 minutes as they pinned the Reds back inside their own half for long periods. After a couple of close efforts, Portobello did open the scoring with an unconverted try, and had the opportunity soon after to add a penalty but the wind carried the ball wide. 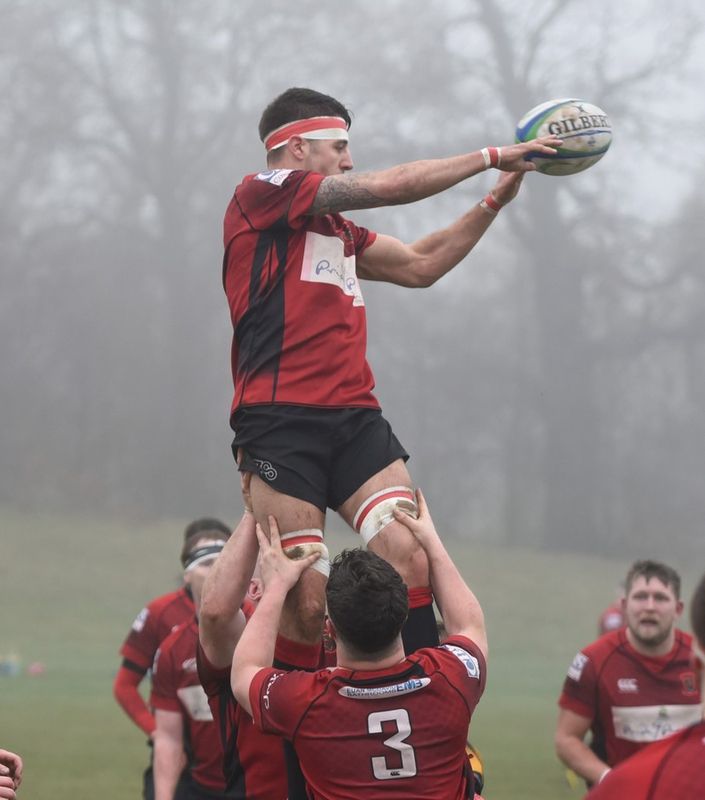 As the half wore on, Linlithgow came back into the game and put the home defence under pressure but were unable to convert their superiority into points as the players struggled to control the ball in the difficult conditions. Right at the end of the half, Portobello had the chance to increase their lead, but some excellent defence from the Reds kept the score to 5-0 at half time. In the second half, Linlithgow had the wind advantage and immediately put pressure on the home defence. Cammy Walker made a great run down the right and although he was tripped, his momentum took him almost to the line where the result was a yellow card for Portobello and a penalty to Linlithgow. No penalty try, but in the next play the ball ended up with Rab Cairns who managed to offload the ball with a basketball style pass to Aidan Rennison at centre who waltzed in under the posts. Jack Frame converted to make it 7-5 for the Reds. Portobello came back and scored a penalty to re-take the lead at 8-7 and the game entered the final quarter. Linlithgow could and should have scored in the corner but somehow with a 2 man overlap the opportunity was wasted. 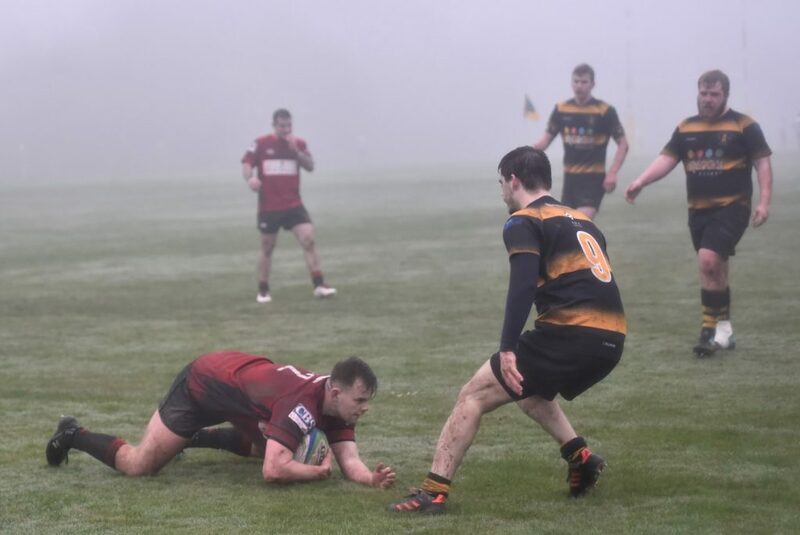 At this point the game was reduced to uncontested scrums which game the home side a huge advantage as they had been getting pushed back by the Linlithgow pack. With 10 minutes to go, Jack Frame slotted over a penalty to retake the lead and had 2 further opportunities to increase the lead, firstly from the 10 metre line and the other from the half way line, both agonisingly short. Things were tight and tempers frayed, then John Chapman attempted an outrageous drop goal from the half way line which looked to have gone over. As the away fans celebrated, the referee, from his vantage point 50 metres away decided the ball hadn’t gone over. There was one more scare for Linlithgow as Portobello broke from their own 22 and got into the Linlithgow 22 before they were stopped, and only a foot in touch prevented a potential score. In the final minute, substitute Calum McKeown received a red card as there was some pushing, but nothing worse than the Portobello number 5 and number 8 had done earlier in the match. Linlithgow claimed the 4 points for the win, which leaves the Reds on 50 points with all of their 20 matches played. Although the 4 teams below all have games still to play, none can reach 50 points, so the Reds will finish sixth or seventh in the league whatever the outcome of these matches. Tennents East 1 has been a very competitive league this season, with all but three of the teams contesting the mid-table positions. Congratulations to league champions, Berwick, who are currently undefeated and will be promoted at the end of the season and commiserations to North Berwick and Livingston who are both definitely relegated and who may yet be joined by Portobello and Broughton. Jack Frame; Cammy Walker, Rab Cairns, Aidan Rennison, Lewis Herdman; John Chapman, Cammy Murrie; Ally Mclean, Euan Mochrie, Colin Devlin; Neil Lockhart, Ross Martin; Mark Caddle, Cal Thomson and Kieran Cochrane. Subs: Steven Grant, Calum McKeown, Andrew Archer and Jeff Martin.